GPS gadget has been very useful for drivers nowadays since it helps find directions from point A to point B and most of the time accurate. I have not used any GPS gadgets before but with availability of smartphone Apps, there are FREE applications out there. I use Waze eventhough twice it lead me to a wrong place. According to Astro Awani Traffic, there are 1.5 million active Waze users in Malaysia and the Waze community rakned 15th largest in the world. 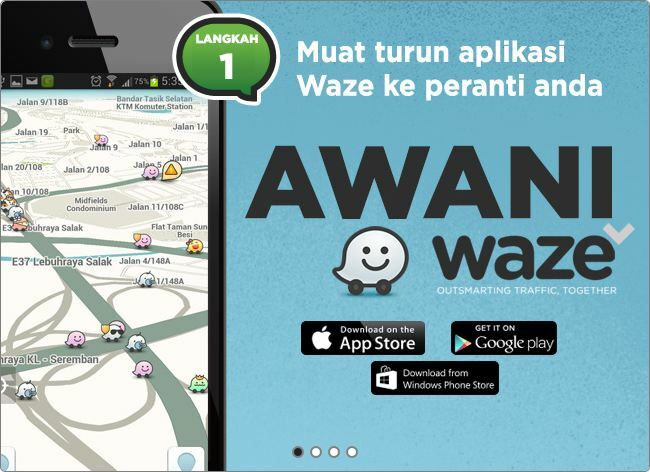 Waze is owned by Waze Inc. America and Astro Awani has been cooperating with the company to help bring latest traffic update to viewers in Malaysia through Mainstream Media in Malaysia. Next Post Hey! What Did You Took Back From The Hotel?